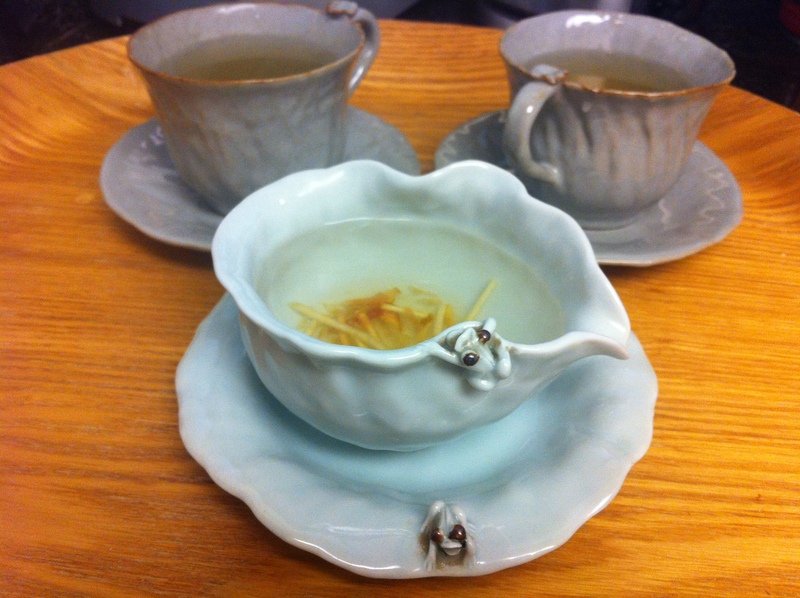 All three teas are great for both prevention and recovery of colds and flus. They are made with fruits and ginger combined with sugar and/or honey. You can buy them in any Korean markets and they come bottled in glass jars or in a powder form. 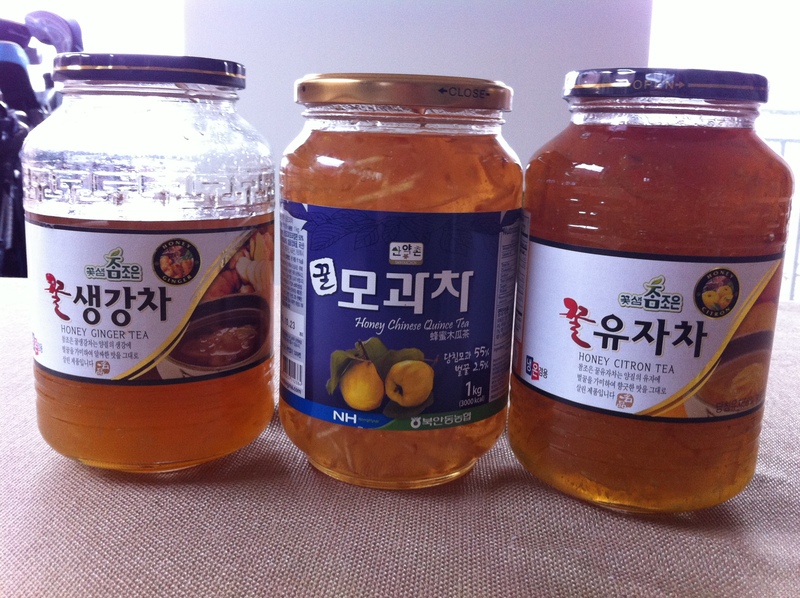 I prefer the jarred kind and always look for product “Made in Korea”. 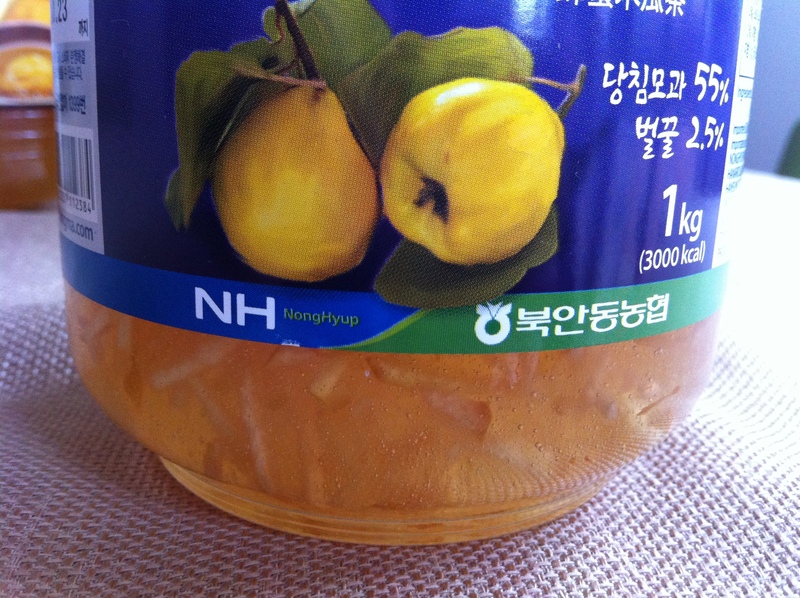 Also note the close-up photo below that says “NH” or “Nong Hyup.” Nong Hyup is a government sponsored organization that helps Korean farmers in various ways. I always buy products with this seal because it not only means the product is from Korea but also guarantees its quality. To make the tea, all you have to do is mix a few teaspoons of tea with water. Serve it hot or cold. Yuja-cha is most well-known for its vitamin C. This not only prevents colds and flus but also helps with fatigue. Yuja-cha helps bring back appetites, especially helpful for those who suffer from colds and flu. Moreover, the vitamin C, sweet and citrus flavor are great with hangovers and nausea. It is also good for asthma and prevention of strokes because it is said to help strengthen capillary vessels. My favorite quality of yuja-cha is that you can use this as a cooking ingredient for sauces and salad dressing. I love drinking this tea when I have a fever and shivers from a cold. 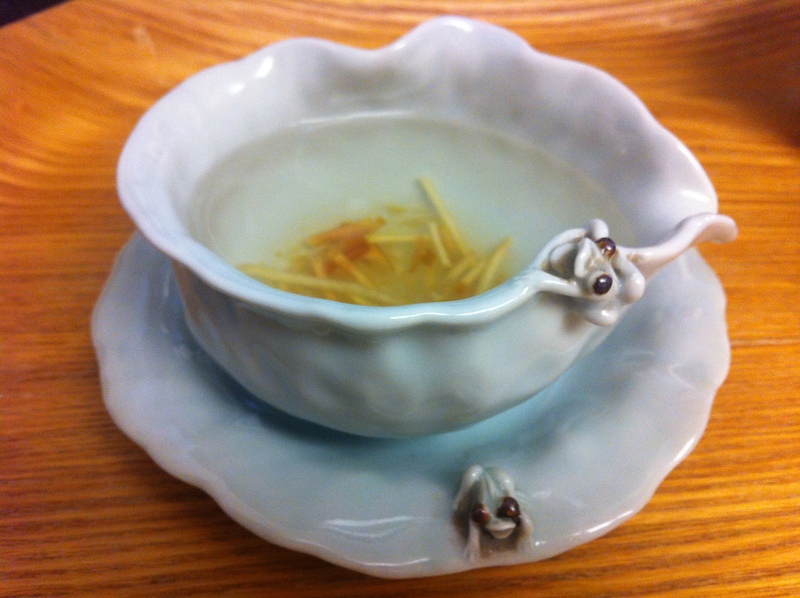 Saenggang-cha not only keeps your body warm but also helps with coughs, stuffy noses and headaches. It brings back your appetite, good for digestion and nausea. It promotes blood circulation and is beneficial for menstrual camps. This delicious fruity and floral tea is full of vitamin C like yuja-cha (유자차) but is a great option if you do not want yuja’s citrus flavor. Mogua-cha is especially known for helping with coughs and bronchial related illnesses. Moreover, this tea helps with indigestion and stomach problems so it is a great dessert tea. This entry was posted in Tea, Vegan/Vegetarian Options and tagged Ginger, Mogua, Quince, Tea, Yuja, Yuzu by gangnamkitchen. Bookmark the permalink.